You’ve probably heard of natural cold remedies like echinacea, garlic, and goldenseal. But here is a remedy that may be even better! So just what is this miracle remedy? It’s an ancient Chinese herb called huang qi, which means “yellow leader,” but you probably know it by its more common name… astragalus. Native to China, Mongolia, and Korea, astragalus is a herb that grows up to three feet tall. Known botanically as “astragalus membranaceus,” the yellow root has various medicinal uses. This super herb has been used in traditional Chinese medicine (TCM) for thousands of years. The University of Texas has shown it to be an adaptogenic herb which enables viruses, bacteria, and even cancer cells to be “picked up” on the immune system’s radar. 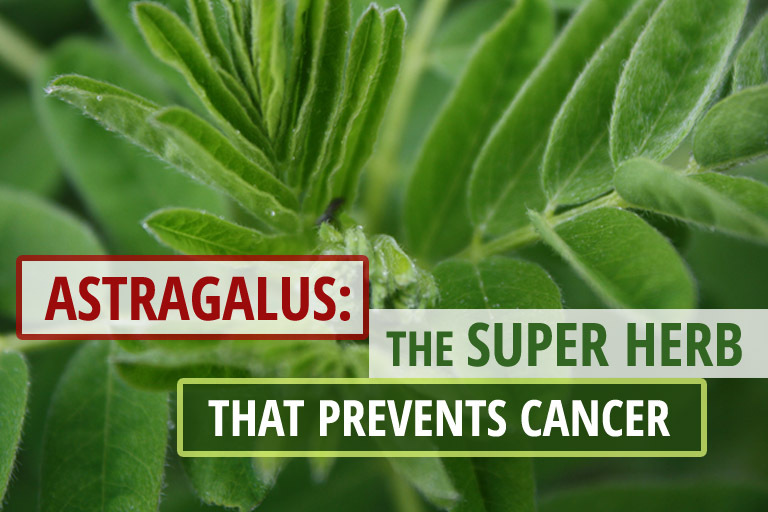 In one study, astragalus membranaceus was able to restore immune function in 90% of the cancer patients studied! 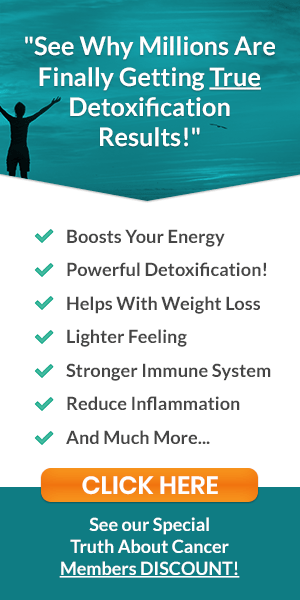 Astragalus is a powerful “non-specific” immune modulator. Instead of activating our defense system against a specific disease organism, it modulates immunity by increasing the numbers and activity of macrophages, which are roving white blood cells that engulf invading organisms. When a person is diagnosed with cancer, the ripple effect on the rest of their health can often cause more trouble than the disease itself. Unfortunately, so can traditional cancer treatments. 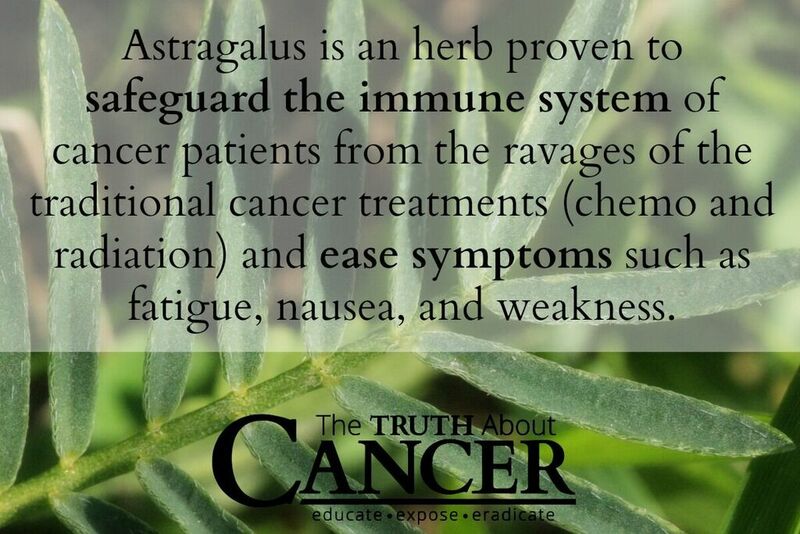 During one study, researchers investigated the effects of astragalus on cancer patients with compromised immune systems as a result of chemotherapy. Patients taking the astragalus supplements experienced a faster recovery and improved survival rates. Scientists examined the effects of astragalus among patients with cancer-related fatigue. They discovered that the group receiving pure astragalus extract showed significant improvements and concluded that it is a promising adjunctive treatment for cancer. Chinese studies show that astragalus improves the quality of life and the overall immunity of cancer patients undergoing chemo. 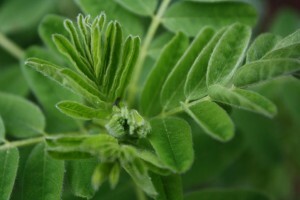 The roots of the astragalus plant are thought to stimulate the production of interferon. Interferon is an essential chemical that induces the proper functioning of the immune system. Interferon is also effective in fighting cell mutation and cancer development. This herb is revered for its ability to boost the immune system. When cancer patients undergo chemotherapy, most often, the drugs used cause the body to produce less red and white blood cells. This makes cancer patients more susceptible to infection and general illness that can quickly become serious. Astragalus enables the body to boost its white blood cell count, produce more antibodies and natural killer cells, strengthen its antiviral immunity, and increase the production of interferon. Based on research conducted at the University of Houston, the use of astragalus enhances the ability of T-cells and NK cells to destroy tumors. 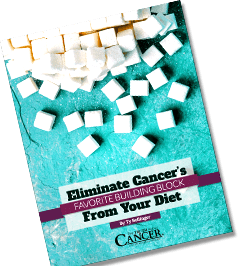 It activates interleukin-2, which kills cancer cells and helps relieve the side effects of chemotherapy such as immunosuppression, fatigue, nausea, weight loss, and overall weakness. In tests at the Hiroshima School of Medicine in Japan, astragalus was shown to directly increase B-cell and T-cell levels, interleukin, and antibody production. But not only does astragalus increase the number of leukocytes, in particular the “hunter” T-cells; it also helps identify the viruses, bacteria, and other rogue cells. Wound and Skin Care: When applied topically, it effectively alleviates eczema, psoriasis, rosacea, and has also been used to treat wounds. Taken as a tea, the antioxidant property of astragalus improves your blood flow – crucial for great looking skin. Slow Signs of Aging: Astragalus improves your cellular health by slowing down the wear and tear of your DNA. Within your DNA, there are small strands called telomeres that keep your cells from unraveling. The root extracts help extend the life of your telomeres, making you look younger and slowing down the aging process on a cellular level. Healthy Heart: Astragalus’s diuretic effect flushes toxins from your body. Many studies have shown that high blood pressure is a critical factor contributing to heart disease. Astragalus aids in blood vessel dilation, which can lower your blood pressure naturally. Regulates Blood Sugar: Patients with diabetes can safely rely on astragalus to lower and balance their blood glucose levels. One study discovered that it restored high blood sugar to normal and raised blood sugar when it was too low. Immune System Optimization: Since astragalus contains antibacterial and antiviral properties, it has been used effectively in TCM to treat allergies, colds, flus, and respiratory conditions. Improves Anemia: Early studies showed that astragalus root increased the blood count of anemic patients, especially those who have aplastic anemia. Though more research is needed in regards to anemia, initial results are promising. Taking astragalus is generally considered safe. However, it is important to consult your health care provider before you add it to your health regimen. Though side effects reported have proved to be minor – diarrhea, bloating, and dehydration – it has been known to interfere with prescribed drugs. You can find astragalus in several different forms including capsules, tablets, liquid alcohol extract, injectable forms, and topical forms. The recommended dose is between 1-30 grams of powdered root per day, which is available in capsule form. Astragalus is a source of fascination for researchers and more studies will likely discover further conditions that this ancient herb is able to help. Look for it at your local health food store. In vitro and in vivo immunomodulating and immunorestorative effects of Astragalus membranaceus. [Clinical observation on the treatment of ischemic heart disease with Astragalus membranaceus]. [Effect of astragalus injection on immune function in patients with congestive heart failure]. how long before this is available in Australia ? I watch all the new products that is being advertised. I wish one thing and it is this. Where in England can I find these product especially the 100% Organic Frankincense Oil. My friend has cancer and I would like to buy this product for him. I have brought the tapes and is sharing them with everyone but we would like to know where to get the products from in England. You can get the BEST frankincense oil from YOUNG LIVING—a wonderful, pure company. You should be able to find a pure, organic Frankincense essential oil from Florihana that is in France. 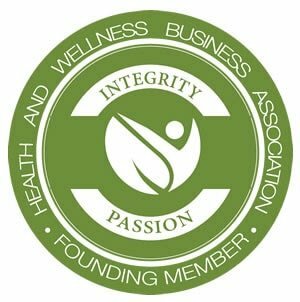 They are a top of the line herbal, essential oil company. 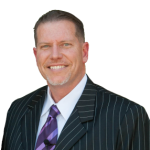 The prices are much more affordable than the multi-level marketing companies out there. Enjoy with Peace! When will it be available in New Zealand? 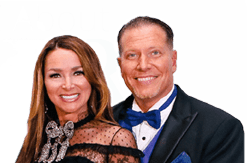 Thank you TY for all the information you have been passing to us on this topic of cancer, it is only God who can reward you adequately because for so long we have suffered in silence in the hand of the established Medical practitioners, but with the new education we are getting from you from time to time we have been liberated. For those of us in Africa particularly Nigeria,where and how can we get some of these vegetables especially the ASTRAGALUS. I’ve heard if a plant known as “sour sop”. Is it useful in fighting cancer? Advertised as being more effective than chemi. Don’t women with ER positive and PR positive breast cancer have to stay away from astragalus? I had a HER 2 breast cancer, had chemo and just bought astragalus powder. Reading your comment made me think i need to ask my doctor about the herb before i can take it. You would be better off using artemisia annua extract for breast cancer. Artemisinin has been proven effective at kill bc in a UW study. A friend of mine used it and has since recovered, remission for over 10 years now. She swears by it. Dear Mr. Bolinger,you don’t have to keep on thanking us so many times, it is us the viewers that have to thank you. THANK YOU, THANK YOU!! , though she walked away from chemo and radiation, she decided to live her life normally without telling anyone exept her closest family, and had three good years meeting friends and family,never worrying any of us, she passed away gracefully, but leaving us all in a shock. If these episodes had aired earlier, I am sure my brother would have done everything to save her. May God bless her soul. If these episodes had aired even about four months ago, there is another dear one in last stage of TNBC, which has matestasized , she chose to go the conventional way,was too scared to try something new, Though I am a great believer in our body’s ability to heal itself, with little help from nature, she would not agree, I plan to give my tapes to her to watch, I don’t think she is in a position to sit through them. Only 42 years old,my daughter’s best friend, and like a daughter to me. I don’t know how to convince her. I only hope her newly married husband can. Once again thank you , you and your team are angels of Good News. I have alerted all my relatives and friends about your Quest I hope they have watched the episodes. God Bless you! Hi Ms. Pervize Jamaji, or hi Grandma!  Your productions are a great service to mankind. They substantiate what many have viewed for a long time as an effective alternative to conventional medicine. I have shared them with several people. Do you know of or could you point me to effective alternative treatments for COPD? Astragalus is supposedly great for preventing and healing flu. The Dr. Oz program stated that it is also a good sleep aid. Astragalus capsules are fairly inexpensive at Swanson Vitamins as are a lot of other cancer fighters like boron. Which one is better the standardized or the root??? Where can one buy this herb? is a good choice for many things of this nature. I used them, fair and fast. What more could one want. You can buy it now in health food stores. I take it orally from Mediherb that my natrupath prescribes. It’s fantastic in Australia for this time of year when winter is almost here. Hi Malvia,I got pure organic frankincense from Enaissance.CO.UK!!! !found therm prompt with delivery and the price seemed quite good,even the packaging is eco friendly, hope this helps! I am “living proof” that Astragalus works for colds and flu. I have not had a cold in 50 years, nor have I ever taken a flu shot. 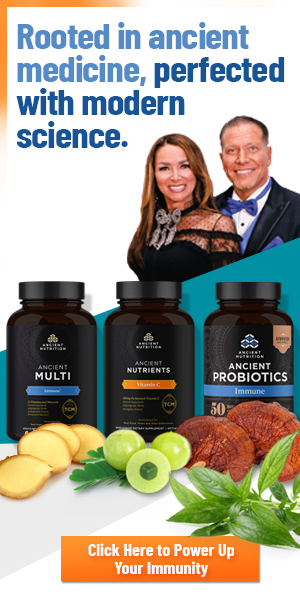 Yes, at times I have felt one coming on and took a dropper full of liquid Astragalus every two hours in a little water and symptoms are totally gone in 24 hours! You have to catch it in the early stages. If you wait until it gets a hold on you, it won’t work …. do this at the first sign. How or where i can avail this product astralagus? I too have been told to avoid Astragalus Root for my form of breast cancer. Being HER2 positive. Assuming others are alright to use it. Also, many auto immune issues don’t fair well with it either, it can over stimulate in a bad way I am told.